Ekadashi always occurs twice every month in the Hindu calendar, first in the bright half, and second in the dark half of each lunar month. It is believed that you can achieve salvation by observing Ekadashi Vrat. 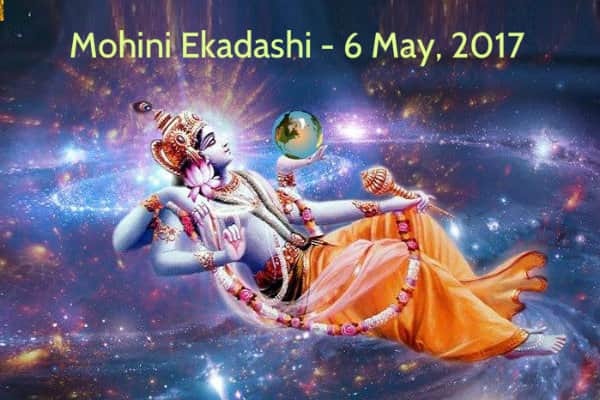 Regarding Mohini Ekadashi, which is considered to be highly significant, occurs on the 11th lunar day during the Shukla Paksha of the Vaishakha month. It is said that if a person devotedly observes Mohini Ekadashi Vrat, he/she will attain liberation from worldly pleasures and all sins. On this auspicious day, get your hand-written Janampatri by our experts. It is said that on Mohini Ekadashi day Lord Vishnu had taken the form of Mohini. As per the tradition, when Amrit (Nectar) came out during the churning of the ocean, a dispute emerged between Devtas (demigods) and Daityas (demons) on who will consume it. Then Vishnu took the form of a beautiful woman, Mohini. Daityas kept on admiring the beauty of Mohini while she made the Devtas drink the Amrit. That is why this day is called Mohini Ekadashi. Mohini Ekadashi Vrat was also observed by Lord Shri Ram while searching Sita, and also by Yudhishthira during the Mahabharata period. As a result, they were relieved from all their sufferings. So, let us know about the Mohini Ekadashi Katha, Vrat and Vidhi. According to the tradition, on the banks of river Saraswati, there was a place known as Bhadravati, which was ruled by Chandravanshi King Dhrutimaan. He was very religious and a devotee of Lord Vishnu. He had 5 sons named Sumana, Sadbuddhi, Medhavi, Sukruti and Dhrishtabuddhi. The king's 5th son, Dhrishtabuddhi was a sinner. He indulged in immoral deeds with women, gambled, and also consumed meat & alcohol. Hence, the king got upset and abandoned him. Thereafter, Dhrishtabuddhi survived for few days by selling his ornaments and clothes. But thenceforth, he had to just wander around hungrily and thirstily. Subsequently, he resorted to robbery, and thus the king imprisoned him. Later on, Dhrishtabuddhi was driven out of the kingdom. Hence, he lived in a forest and killed birds & animals for his survival. Distressed with thirst and hunger, Dhrishtabuddhi arrived at the Ashram of Sage Kaundinya. The person observing Mohini Ekadashi Vrat should follow the rituals from the preceding night (i.e. 10th Lunar Night). He/she should wake up before sunrise, apply a paste of Til (Sesame) on the body and bath in pure water. 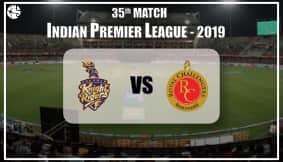 Thereafter, you must install a Kalash(Pot) decorated with red cloth, and worship idols of Lord Vishnu & Shri Ram by lighting a lamp and incense sticks and offer fruits & flowers. Then, distribute 'Prasad' and give 'Dakshina' to Brahmins. Also, sing Bhajan-Kirtan (Devotional Songs) at night, and sleep near the God's Idol. Do not eat rice and barley on Ekadashi day, as it is considered a sin and also destroys all your good deeds. Don't eat food given by others/outsiders, else the good deeds done during the whole year will be destroyed. Never consume Tamasic items like meat, alcohol, garlic, onion etc. on Ekadashi, as it increases evil thoughts in your mind. Avoid anger, violence, criticism and robbery on Ekadashi day, as it destroys your good deeds. Also, control your passion, and observe total abstinence on Ekadashi day.